The Clay County jail and courthouse is set to receive a facelift in the coming years. 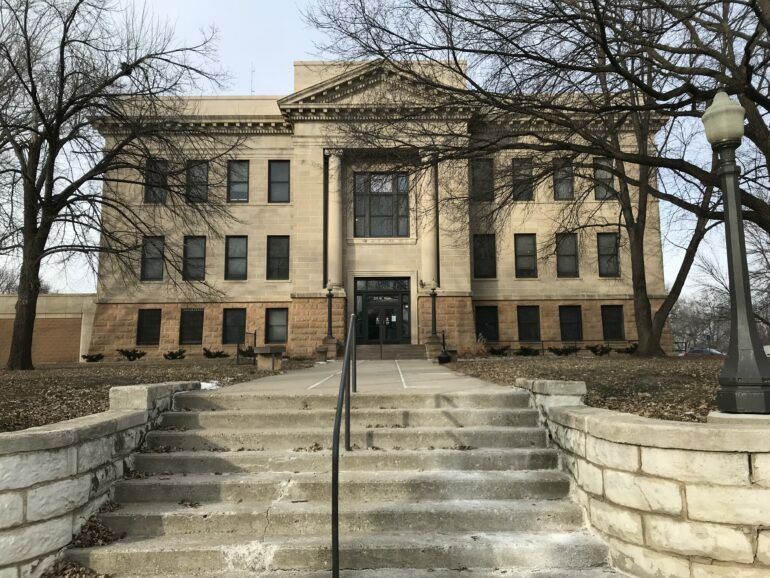 A committee of 10 community members was created late last year with the intention of overseeing the construction of a new jail and courthouse. The cost of those new facilities could be up to $25 million or higher. Andy Howe, Clay County Sheriff, said there may be a difference of opinion on what exactly is needed, but there’s a consensus on the need of a new facility. “This jail and courthouse has outlived its usefulness to the county. There’s no question about that,” Howe said. The jail was built in 1913 and could house up to 18 inmates. Even now, they can only hold 20 inmates. Because of the close quarters and limited space, inmate overflow has cost the county around $15,000 a month to have prisoners stay at other jails. An assessment that was completed showed that the building needed a lot of updates, including electrical and plumbing work, along with fire safety. The committee consists of seven voting members: Robert Fuller, Marty Gilbertson, Huckabee, Meghan McCauley, John Walker, Steven Waller and Nate Welch. Advisors and non-voting members are Howe, Carri Crum and Matt Betzen. They plan on having the contractors Klein McCarthy Architects propose four options once the group decides what Clay County’s needs are for inmates and office space. The committee is looking at several other jails including Plymouth and Sioux counties of Iowa and Thurston and Yankton counties of South Dakota.